Great sensation world trend comes to Zemun Park, from 26th October until 4th November, every day from 16h till 21h!!! Everyone can enjoy this game both adults and young people. We invite all of those who are willing to test their mind and speed in resolving amazing tasks within limited time. 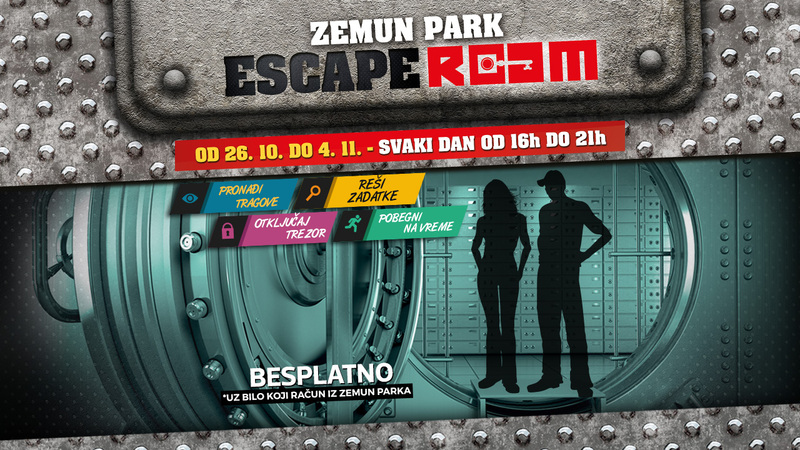 Enter the Escape room, find clues, resolve tasks, unlock the treasury and escape on time! Participation is free of charge if you bring any bill from Zemun Park.